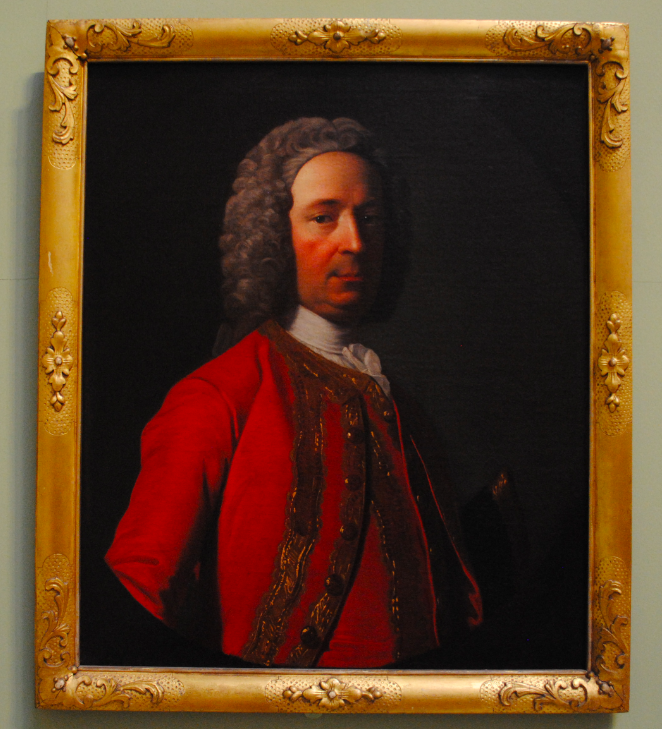 The above oil on canvas is a portrait of John Leslie, the 10th Earl of Rothes. The canvas is a copy of a painting which hangs at Mellerstain House in Scotland. The painting is the work of the Scottish portrait painter Allan Ramsay and dates to circa 1749. John was the eldest son of the 9th Earl whom he succeeded in 1722. From 1723 to 1734 and from 1747 until his death in 1767, John was a Scottish Representative Peer in the House of Lords. He died on 10th December 1767 and is buried at Leslie House in Aberdeenshire.